The Government, UN agencies and humanitarian partners help thousands of people flooded out of their homes. A month of heavy rains in Niger has caused the Niger River to overflow and flood areas in the west of the country, including the capital, Niamey. Entire communities have been forced to move to higher ground and thousands of families who have lost their homes have sought shelter in schools. So far, 52 people have died and about 15,000 homes, mostly made of mud bricks, have collapsed. 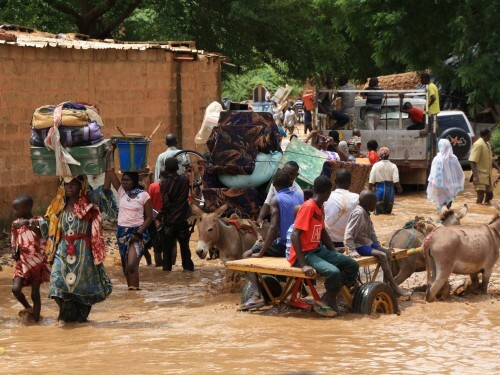 The Government has called for international assistance, and humanitarian organizations that were already in Niger responding to the cholera epidemic and food insecurity are now trying to help more than 400,000 people affected by the floods. The level of the Niger River has been rising since the end of July. But people living in areas close to the banks in Niamey did not leave their homes until sustained rainfall forced them out in August. As the third-longest river in Africa, the Niger runs through western Niger and into the neighbouring countries of Mali, Benin and Nigeria. 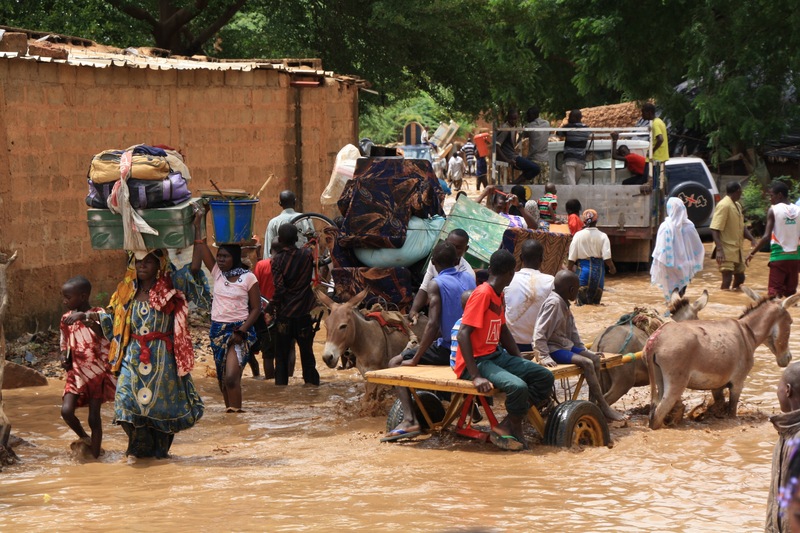 Western Niger’s Dosso and Tillabéry regions, and Niamey were the hardest hit, with entire neighbourhoods, villages, crops and farmlands flooded. Other areas across the country have seen localized flooding. The World Food Programme, UNICEF, the Red Cross of Niger and local humanitarian partners are supporting the Government’s efforts to provide food, water, shelter and emergency healthcare. But more relief supplies, including emergency shelters and hygiene kits, are urgently needed.